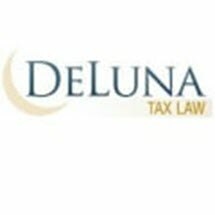 Mr. De Luna has over twenty years of experience in the area of federal taxation. Prior to being in private practice, Mr. De Luna worked for thirteen years with the Internal Revenue Service as a Revenue Agent. Additionally, Mr. De Luna worked for almost five years with a major NYSE listed media firm where he served as a tax director overseeing the federal audit and was involved with the analysis of tax planning. Mr. De Luna offers potential clients the same resources as many large firms, without sacrificing the service or results. His firm has been successful in representing individual and corporate clients in a vast array of tax and non-tax issues. Mr. De Luna's firm also offers estate planning and probate services. The Law office of Luis De Luna, PLLC, delivers a high level of customer service with skilled attorneys.